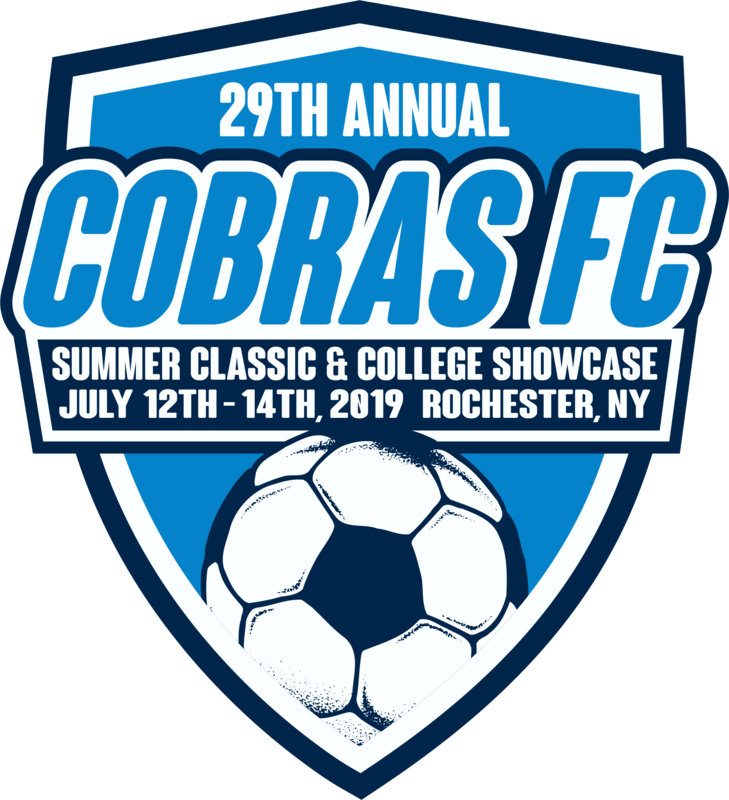 Register now for the Cobras FC Summer Classic & College Showcase tournament! Don’t miss one of the largest, most competitive soccer tournaments in the Rochester area…with over 200 teams participating! All games are played on high quality full-time, permanent soccer fields! Significant effort is made to ensure highly competitive games with fair game times and opponents you are not likely to face in league play. And of course, don’t miss our FREE Family Fun Night on Saturday at Tournament Headquarters, with dinner purchase options, a beer tent, a FREE DJ and FREE fireworks at sunset! The age matrix follows the USYS birth-year age structure. Are you a referee?? If you would like to be a referee for our tournament, please contact the assignor at .